On the 16th and 17th of July 2015, the Gold Coast hosted one of it’s most popular team events, the Kokoda Challenge. The Challenge itself involves teams of four members trekking across a 96 kilometre course over 39 hours. The course was specifically chosen through some of the most difficult terrains of the Gold Coast Hinterland and never fails to disappoint participants on how challenging the course and event is. 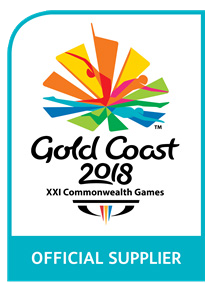 The Gold Coast Kokoda Challenge was created to replicate the treacherous journey Australian troops traveled when they embarked on the Kokoda Track in Papua New Guinea back in 1942. The Kokoda Challenge has been embraced by the Gold Coast community as not only a mark of respect to those who endured the hardships in 1942 but as an individual challenge to test their own endurance. As the Last Post rings through the air of the Starting Line for the 2015 Kokoda Challenge, competitors are reminded of those before them who endured the challenge including the original Australian soldiers that suffered through the distance in Papua New Guinea. 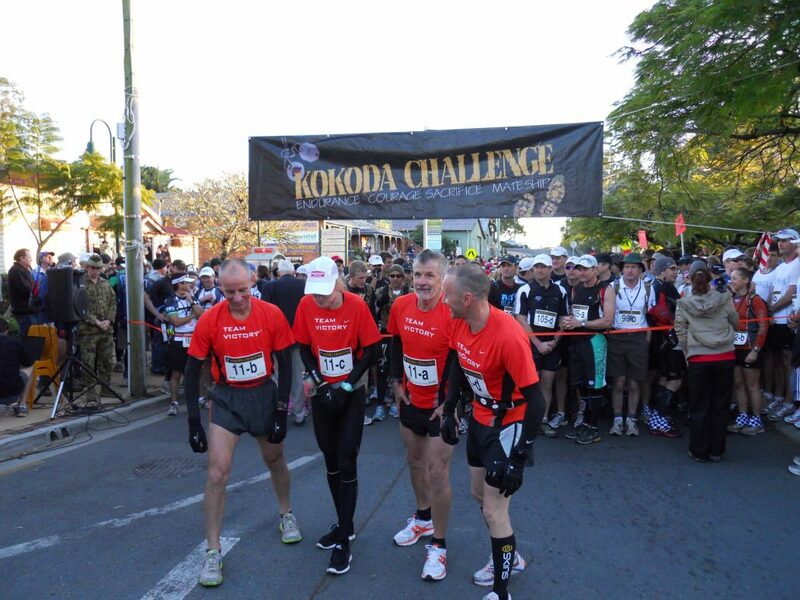 The Gold Coast Kokoda Challenge is continuing to grow in popularity due to it’s support, organisation and atmosphere. First Aid Accident and Emergency offers first aid support and advice to participants throughout the event. Our team thrives in the diversity and challenge Kokoda dishes out to participants and having our First Aid station is a fantastic way to not only keep our training fresh but our outstanding of the Kokoda track up-to-date for future events and training. 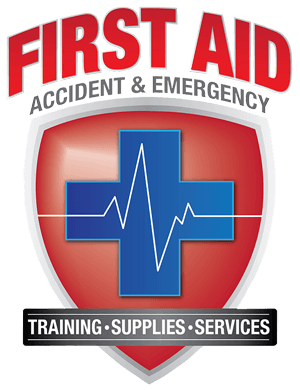 First Aid Accident and Emergency is a proud sponsor to the annual event and we pride ourselves on understanding the physical and psychological ordeals that participants endure. Our director Scott Whimpey has himself competed in the event and every year is a part of the event through his training, education and First Aid support. It was an honour to watch all of those who competed and assist with First Aid for the event. Here’s a taste of what Kokoda 2015 was all about from our man on the ground, Scott Whimpey. First Aid Accident & Emergency are proud sponsors of the Kokoda Challenge, and have supported the event for 9 years. Kokoda Challenge participants can take advantage of a special reduced rate for First Aid Training, CPR Training and any first aid equipment. 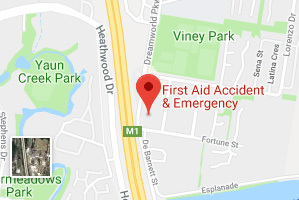 To receive your special rate of $90p/p for the first aid course (including CPR) and $40p/p for CPR training, call the office on 07 55205068 and quote your team name to book your course. 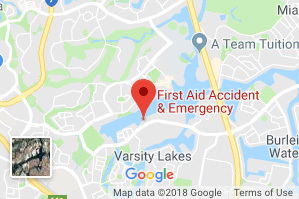 As the event sponsor, we run first aid training 4 times a week in Varsity Lakes training centre and also offer special rates for training in your workplace. Director Scott Whimpey has competed twice in the challenge with the elite Nike Hammer team. He has also first aided for the event 7 times now and has some great Videos and articles for teams below.